Made of elegant heavy brocade fabric, this challah cover is uniquely designed with a maze of baroque styled lines. 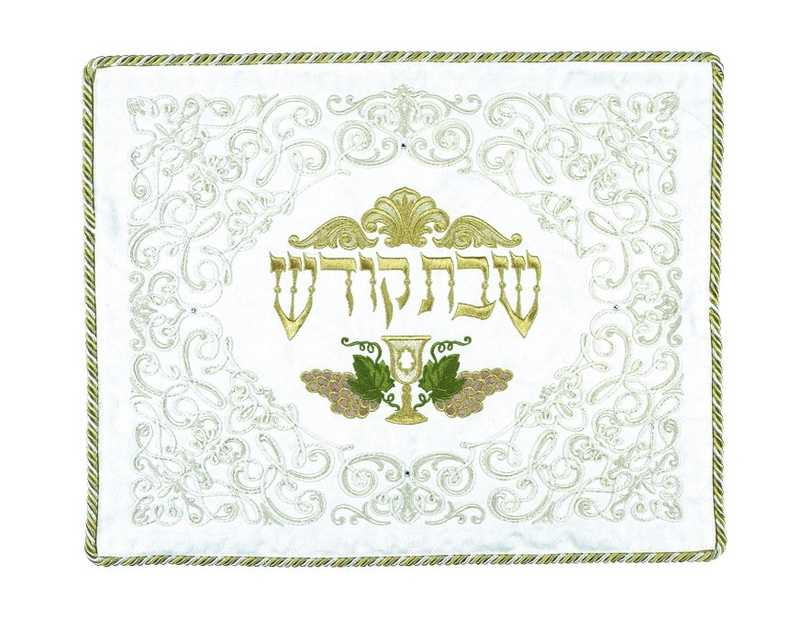 The lines decorate most of challah cover, but in the center, where there is an oval shaped clearing with the Hebrew words “Shabbat Kodesh”, the holy Shabbat, with an image of a kiddush kup and green grape leaves. The edge of the challah cover is bordered by an elegant rope trimming.